I confess: the face looking out from the Media Guardian profile on Zelo Street (read it HERE) is mine. The interview, for which I received the magnificent reward of a cup of coffee in a Costa on Euston Road, plus a free copy of that day’s paper and a tour of the Guardian offices, happened on the day of the Hacked Off lobby event at Parliament, and that’s my excuse for turning up late to Committee Room 14. So I got to see the photo studio first hand, met Media Guardian editor Jane Martinson, and was shown the editorial conference room, including the place where Alan Rusbridger sits while the day’s stories are discussed. I did express my surprise that it wasn’t soundproofed, unlike the one at the Daily Mail (JOKE, Northcliffe House minions, lighten up). It’s flattering to see the article garner some positive responses. However, and here we encounter a significantly sized however, there has been some deep dissatisfaction registered at the Guardian’s audacity in exercising their right to interview whomsoever they wish. This is only to be expected; one cannot object to free dissenting speech. But some of the wilder accusations need addressing. Dylan Sharpe, who is supposedly the Sun’s head of PR, has found the article so distressing that he has felt the need to rubbish it, calling it a “puff piece”. That’s down to the usual smear level, and it’s wrong: Frances Perraudin asked whatever questions she wanted, and I had no sight of the article before publication, enjoyed no power of censorship or amendment, and took no part in the exercise beyond being interviewed. But Sharpe’s intervention is as nothing to the outburst from the Telegraph’s not-at-all celebrated blues artiste Whingeing Dan Hodges, who has let anyone listening know that he takes the article as a personal affront. “What are the Guardian playing at?” he bawled, before going totally OTT. “What is the reason? No followers [wrong]. No profile [it just got published]. Genuine troll [who’s a thin skinned hypocrite, then?]”. And there you have the press establishment wannabes personified. Hodges writing a series of whining screeds about Mil The Younger is not trolling, not obsession, not something that anyone should question, not the petulant whining of a disaffected Blairite who didn’t get the Miliband brother he wanted. No sirree, that, good people, is journalism. And if you believe that, you’ll believe anything. The Murdoch press gave Dylan Sharpe a generously remunerated job; that is their decision, and their right. 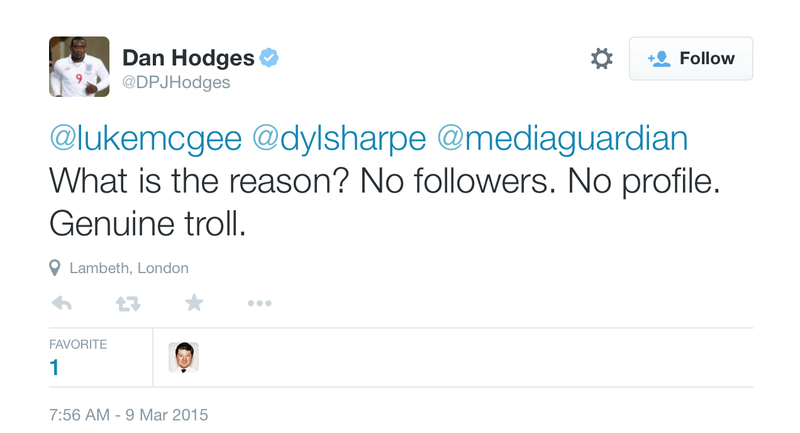 Likewise the Telegraph favoured Hodges. That either of them carp and moan because someone of dissenting view is the subject of a profile which the Guardian has chosen to run tells you rather more about their values - or lack of them - than it does about Zelo Street. Newspaper indulges in free speech no shock horror. Get over it, children. After reading the article in The Guardian earlier I expected the response from the likes of Hodges. Has Harry Cole not commented yet? Having read the Guardian I decided to look up Zelo Street. It's now on my bookmarks! Surprised at the reaction of those staunch upholders of "free speech". Did they complain when The Guardian did a splash on Fatty Fawkes? One thing about the Grauniad - it is more independently minded than those who take their shilling from megalomaniacs running most of the British Press. Good article Tim - more power to your elbow (keep lifting those pints of strong ale). Nice to see you have struck a nerve, Tim; clear evidence, were it needed, of Zelo Street's relevance and importance to those of us of independent, albeit left-leaning, dispositions. Please keep up the excellent work. I was, however, disappointed not to be let into the secret of the Zelo Street name in-joke. 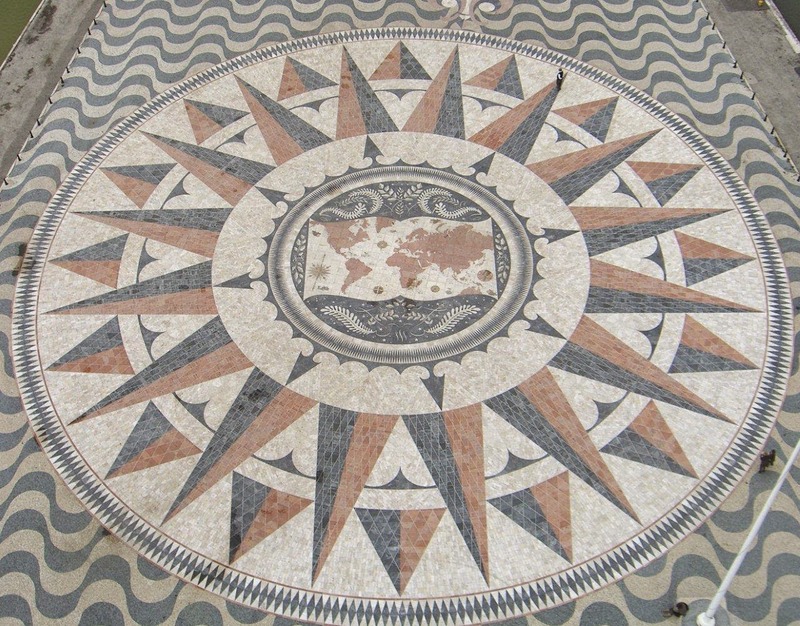 I once wasted half an hour on Google Map trying to find it in Crewe. It's good to see that Dan Hodges like me is an avid Zelo Street reader! Good on you mate, how DARE you tread on their patch. It will no doubt come as a shock to all at the Chronic-le that you are in Crewe. Well it will do if the Guardian sends them a typed up and ready to copy/ paste press release. Anyway, better photo than the one being used by others recently! Keep up the good work, fella. Blogs like yours are invaluable to people like myself who are interested in honesty rather than lies, spin and deflection. That you clearly irritate folks like Dan Hodges, Toby Young and the odious Guido rabble makes it even more worthwhile. Congrats Tim - glad to see you getting recognition. Been reading the blog for many years now and although i don't always 100% agree with you (and would be worried if i did! ), i applaud your hard work and dedication. Funny to see Dan Hodges claim you're 'obsessive and weird', and insinuate that you're actively dangerous (?) for having a few recurring issues on the blog. I always read Zelo Street. Interesting viewpoints and sometimes I comment. Critics seem VERY insecure when you don't agree with them.